A report by Metro's inspector general explored concerns about how the transit agency handles cyberattack threats, sexual harassment investigations, railcar carpet and more. WASHINGTON — Metro bought back its own equipment, failed to properly investigate complaints such as sexual harassment, bought carpeting that failed to meet its own requirements, and risks losing materials to workers leaving the agency, a series of reviews by the Office of the Inspector General has found. The investigations, some of which are ongoing, have led to a series of action plans that Inspector General Geoff Cherrington said in a semiannual report should correct the problems. Among past recommendations Metro is still working on are improvements to minority contracting, security of guns and ammunition, rail fare system upgrades and mobile computing and other data security. Additional contract reviews have also led to about $1.4 million in recommended savings on consultant contracts, compensation from CSX for impacts on Metro’s rail car test track and more. Cyberattacks on Metro could lead to the exposure of personal credit card or travel history information, so a number of reviews are focused on online and other security. “WMATA is a regular target of cyberattacks because it maintains financial information highly sought by criminals and sensitive security information sought by terrorist groups,” the report said. Ongoing audits are looking at security of publicly accessible web applications and at Metro’s IT responses to incidents and efforts to prevent any incidents. With about 4,000 employees and contractors ending their work at Metro each year, the office is also looking into why Metro does not have a standard process for departures. A previous audit of mobile security found 41 former workers had 92 active cellphones still assigned to them. The new audit aims to prevent other equipment or data from slipping out of Metro’s hands. The report includes some additional details on a top MetroAccess leader fired this summer for racial and sexual harassment. Omari June continued his “sexually-oriented behavior” after a 2014 investigation, the report said. “Furthermore, OIG noted the senior manager and other managers continued to foster an unprofessional and hostile work environment in which staff and contractor personnel were intimidated and feared reprisal for reporting inappropriate behavior,” the report’s summary of the renewed investigation said. That new investigation, reviewing 2014 findings from Metro’s Office of Equal Employment Opportunity, is what led to June’s firing. It was not always clear whether key witnesses were interviewed, and in several cases a final report was based on evidence not included in a case file. “Deficiencies associated with the lack of policy and procedures, investigative practices, and case file management were significant enough to raise concern as to whether the results could withstand subsequent administrative or judicial review,” the inspector general’s office found. Metro has lost or settled several harassment or discrimination cases in court. Metro bought back some of its own bus equipment, an investigation found. Starting in 2013, an employee gave a contractor permission to take working equipment from retired buses, refurbish it and sell it back to Metro. That continued even after the employee retired in 2014. “Because of this informal agreement, the vendor could not be held accountable for installing old equipment on new buses,” the report said. 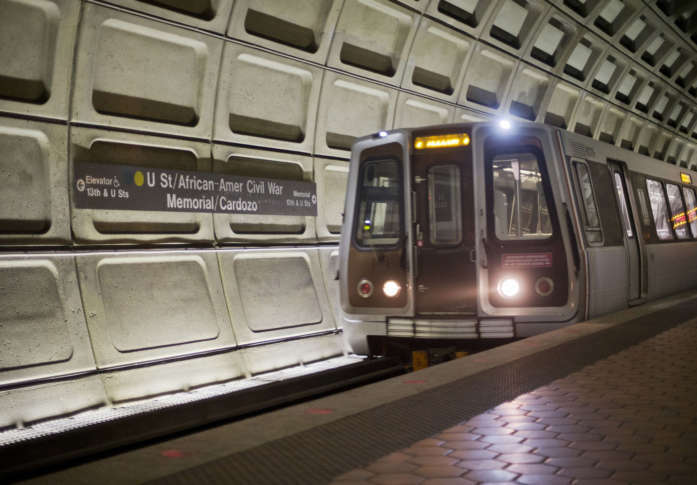 The inspector general also uncovered certain cases where Metro procurement credit cards have not been used solely by the person the cards are assigned to, but an investigation into one case did not substantiate any more significant problems. In another case, a worker fired by Metro in the last year or so after an inspector general’s investigation came back to work at Metro through a contractor. When Metro management was alerted to the issue, they kept that person from returning again. An audit underway now is checking Metro’s paper payroll process for hourly workers. Metro has canceled a railcar carpet contract after the inspector general found significant problems. The investigation confirmed complaints that the carpet requests were too specific, leading to just a single company being able to bid, and that the outdated specifications had not changed for 20 years. “OIG also found the carpet supplied by the vendor is not compliant with WMATA specifications,” the report said. The company also had a conflict of interest with the testing lab used to verify the carpet’s quality, since the lab’s director is married to the chief financial officer of a company that gave the carpet vendor a loan for the contract. Metro is now moving away from carpeting in most of its railcars.